There are certain procedures that sound terrible, scary even, in the world of oral care. Terms such as “surgery”, or “gum grafting” alone can conjure up horrific images. 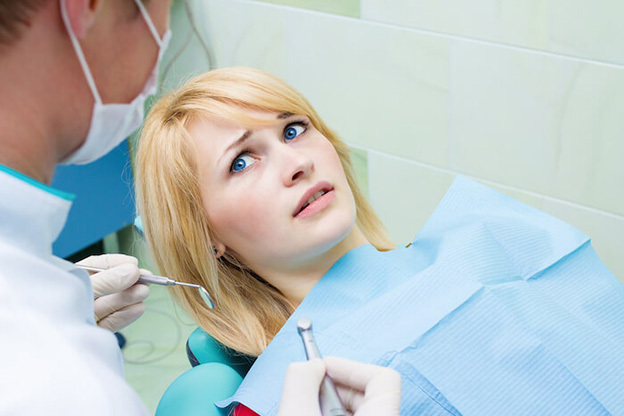 These types of fear prevent too many people from visiting the periodontist on a regular basis. But consider these symptoms: you are eating some ice cream and the freezing cold of the ice cream hurts your teeth or its pain can occur when drinking coffee or tea, even brushing and flossing your teeth can cause pain in the tooth or near the gum line. When there is pain, there is a problem. These symptoms could imply any number of oral maladies, periodontal disease being one of the most prevalent. However gum recession is often the cause of such discomfort, even for people who are dedicated to maintaining their oral health. If you can see gum tissue recession or are experiencing sensitivity you may benefit from a procedure called gum grafting. These procedures establish new gum tissue stopping the recession and adding to the tissue covering the root. There are many options to treat gum recession that did not exist in years past. Many small grafts are still done with your own tissue. When indicated processed allografts can be used for more complex situations. The fears due to the horror stories of the past are just that: a thing of the past. Remember, everyone’s gums recede with age. Grafting procédures protect your teeth, and keep your mouth healthy and comfortable. If you are experiencing symptoms or believe you have problems with gum recession, call your periodontist and schedule a consultation. Contact Healthy Gums Montana for all of your periodontal needs!